BiColored Pencils have two separate colors combined in one pencil with excellent color laydown. Each pencil measures 7" with thick 3.3mm leads, and pre-sharpened on each end. Non-Toxic. 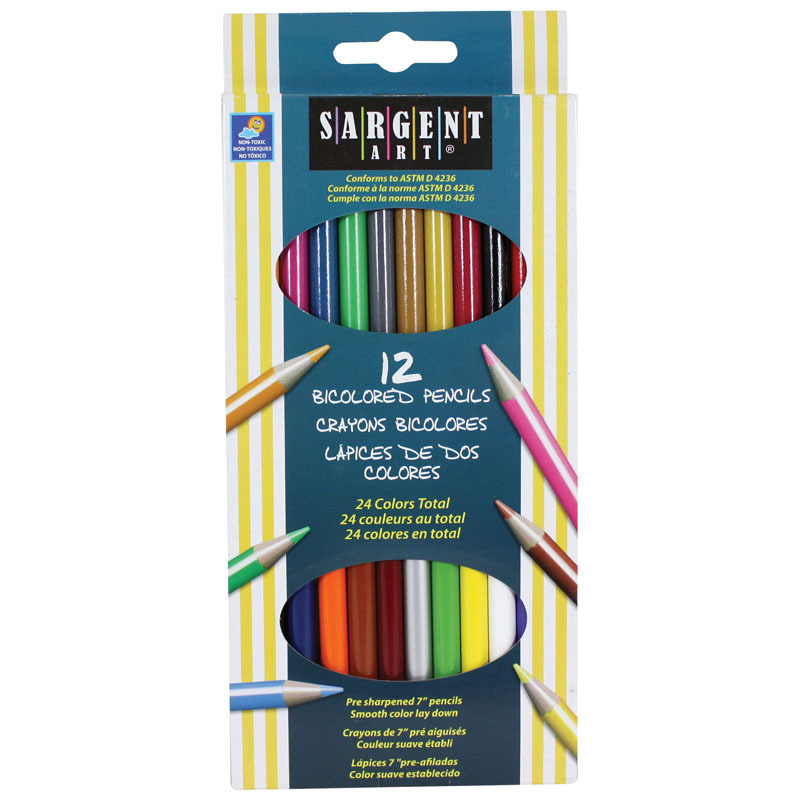 Each pack includes 12 bicolored pencils, for a total of 24 colors per pack. 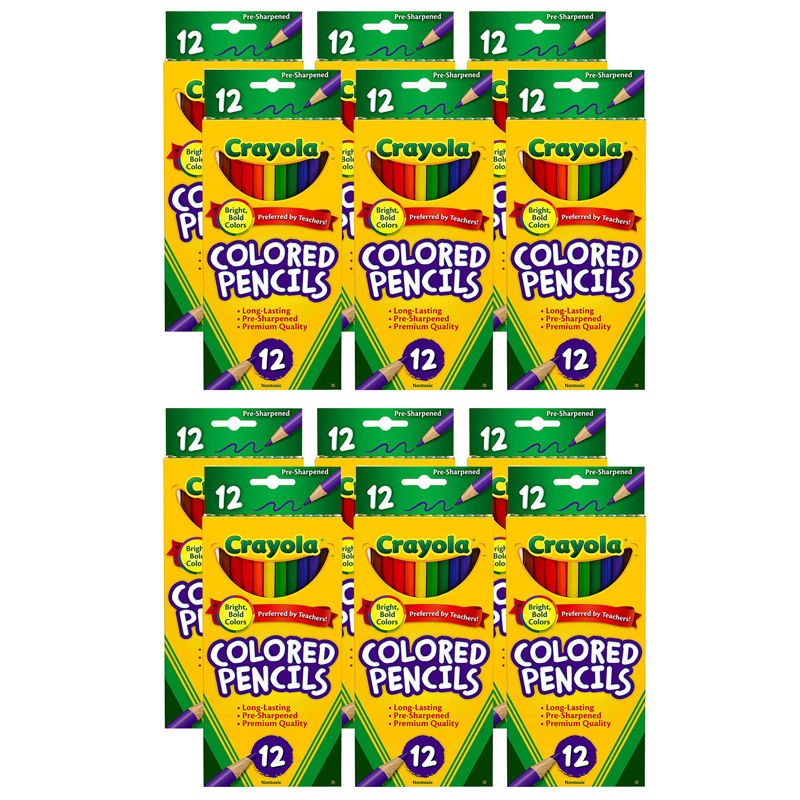 Sold as 12 packs for a total of 144 bicolored pencils. 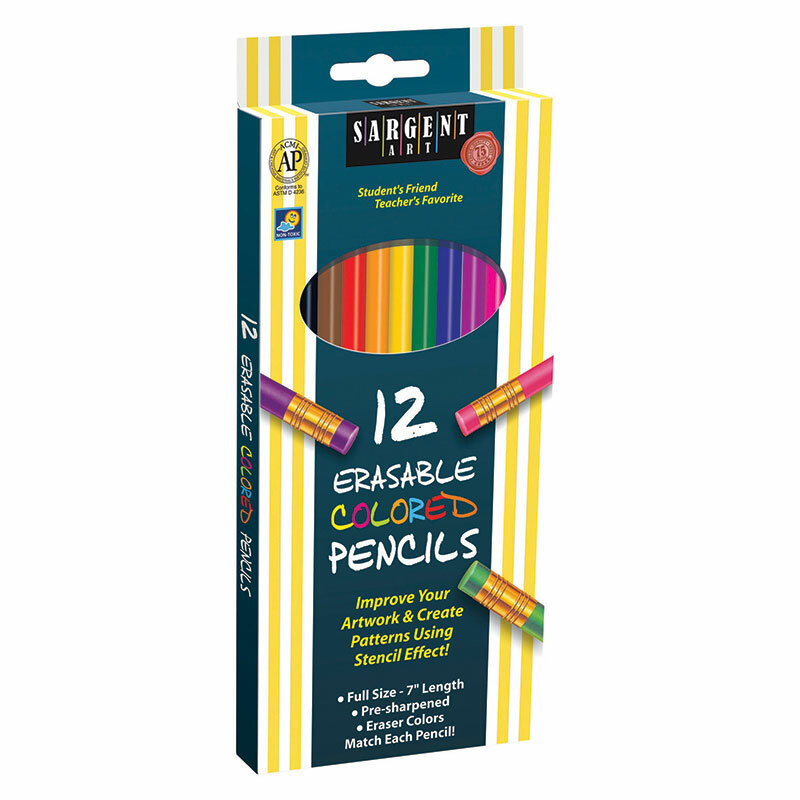 The (12 Dz) Sargent Art Bicoloredpencils can be found in our Colored Pencils product category within the Arts & Crafts.